Maruti Suzuki has officially revealed the Alto K10 Facelift at a concert held in Chandigarh. However, the sales of this car will have to wait until the official launch and price announcement, which will happen in the next few weeks. The facelifted Alto K10 hatchback uses the top hat of the Alto 800 with different styling elements such as new headlamps and tail lamps. These design changes differentiate the Alto K10 Facelift from the lower priced Alto 800. These changes apart, the Alto K10 is simply a more powerful version of the Alto 800 that gets a new feature set. In terms of mechanical changes, the Alto K10 Facelift plays host to an automated manual transmission. Since the facelifted Alto K10 AMT will sit below the Celerio AMT in terms of price and positioning, the hatchback is expected to be the least priced automatic car to be sold in India. The car will continue using the 1 liter-3 cylinder K-Series petrol engine that outputs 67 Bhp-90 Nm. This engine will be offered with petrol and petrol-CNG dual fuel options. A manual 5 speed transmission will be offered on the petrol and CNG variants of the facelifted car while only the petrol variants will receive the AMT option. 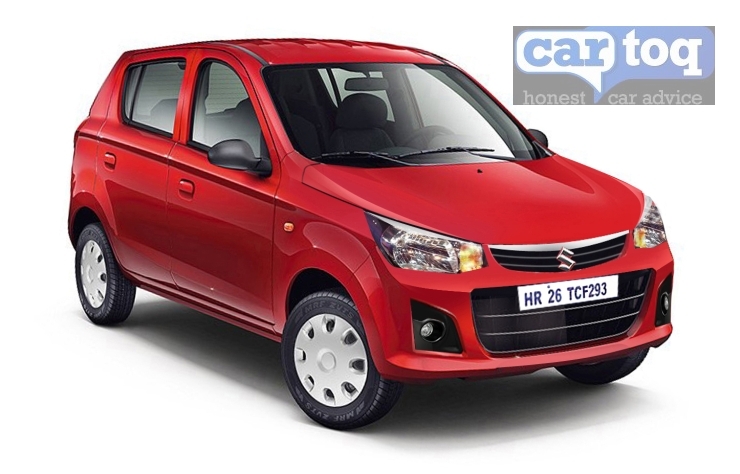 Maruti Suzuki is expected to cut costs substantially by using the Alto 800’s top hat on the facelifted Alto K10. These savings could translate to an attractive price tag for the facelifted car. The Alto K10 Facelift is likely to carry a starting price tag pegged near the 3.2 lakh rupee mark, ex-showroom Delhi, with the AMT variants beginning from about the 3.6 lakh rupee mark. Prospective buyers take note. With the impending launch of the facelifted Alto K10, the outgoing model is likely to be offered at chunky discounts. « Are you the Tata Zest Turbo Petrol compact sedan with an AMT option?